Floating Pixie Tarot is whimsy colouration of the Tradition RWS Tarot illustrated by Pamela Colman Smith. 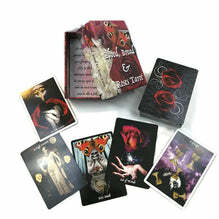 With the added inclusion of a magickal Floating Pixie who is a witness and your guide through the journey of the tarot. I was seeking a feminine pastel RWS version of the tradition deck and was struggling to find it. So, I decided to create it myself. Using the black and white illustrations from the original 1910 book by Arthur Edward Waite, The Pictorial Key to the Tarot. I used them like a colouring book to create a very whimsical pastel Pixie inspired version that I could enjoy and use with my clients. Included in the deck is the original 78 illustrated cards plus two additional card images of Pamela Colman Smith. Included in this book is a cursory description of keywords for each of the individual cards, and the classic Celtic Cross layout for those who wish to use that spread for tarot readings. This is just to give you a basic amount of information to begin your journey of learning and reading Tarot. For more information on tarot, there are a multitude of great beginner tarot reading books available that go more indepth into the symbolism and meaning of the cards. Finally, I hope you enjoy this foray into the magick and mystical Floating Pixie Tarot Journey, and have fun watching the Pixie find her crystal ball in the imagery of each card.